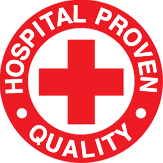 Electro Spyres Medical, since 1986, continues to manufacture and supply world class healthcare products. Electro Spyres is committed to on-going research and development to ensure that its products meet internationally accepted quality standards. Our products continue to meet customer satisfaction levels year after year. Electro Spyres remains the only South African manufacturer of a comprehensive range of wound care dressings, ECG electrodes, electrosurgical accessories, hot/cold packs, lubricating gels and more. We would be pleased to supply your office with complementary products to allow you to clinically assess our locally manufactured and cost-effective medical products. Electro Spyres products are widely used in government and private hospitals, by various health care professionals and are exported regionally and overseas. Electro Spyres and its Staff look forward to being of service to you.